Final Exit is the most famous book on voluntary euthanasia and assisted suicide. There is unique step by step language for the competent adult who is terminally or hopelessly ill to bring their life to a peaceful, non-violent end if they wish. 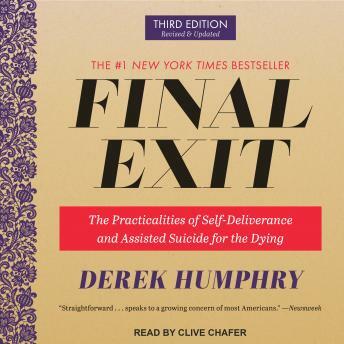 Final Exit outlines the legal complications connected with dying, death, hastened death, euthanasia laws, suicide, living wills, and advance directives. Derek Humphry explores the problems with life insurance, as well as the ethics of double suicide.